How to Recover Deleted Sticky Notes in Windows 10? 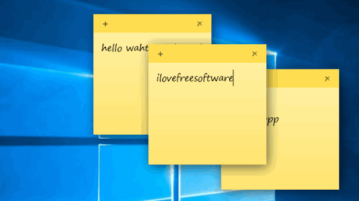 This article covers how to recover deleted Sticky Notes in Windows 10. There are multiple ways covered to get back the content of your Sticky Notes. 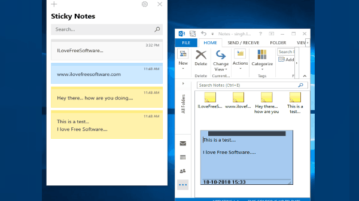 How To Transfer Sticky Notes in Windows 10 to Microsoft Outlook? This tutorial covers how to transfer Sticky Notes in Windows 10 to Microsoft Outlook. It can be done using Sticky Notes new sign in feature. 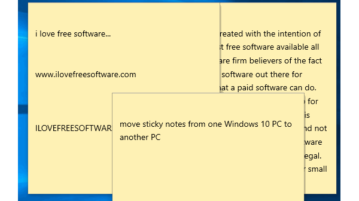 How To Sync Sticky Notes Between Multiple Windows 10 PCs? 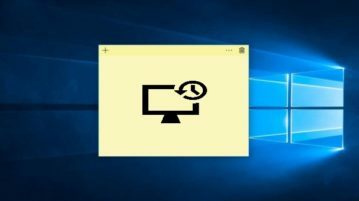 This tutorial covers how to sync Sticky Notes between multiple Windows 10 PCs. 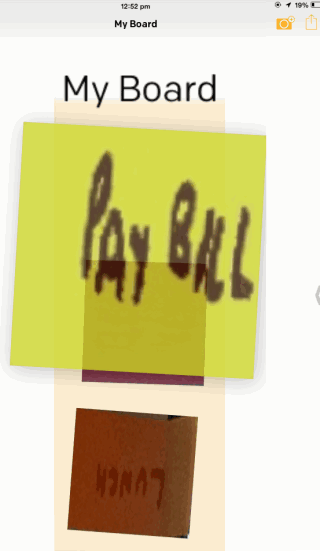 This is possible with Sticky Notes version 3.0 which brings sign in feature. This tutorial covers how to move all Sticky Notes from one Windows 10 PC to another. You can do this by moving database of Sticky Notes. 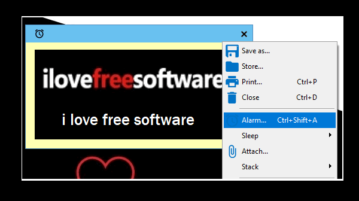 Here are 5 free Sticky Notes software with alarms. Apart from creating notes, you can set one time alarm, recurring alarm, and add alarm with each note. Sticker Notes Gold is a Windows 10 sticky notes app where you can add sticky notes in different colors to remember tasks and make notes. 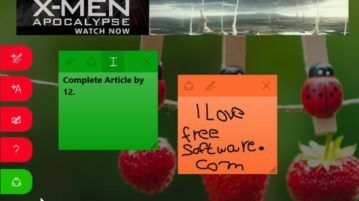 Pinup is a free collaborative online sticky notes that can be shared with multiple users. You will be able to add multiple sticky notes on a single canvas. Here are 5 free floating notes Android apps to take notes from anywhere. Add floating sticky notes window on any Android screen to take notes and save them. 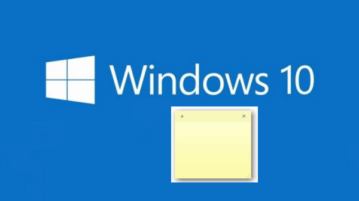 This tutorial explains how to get old classic Sticky Notes in Windows 10. 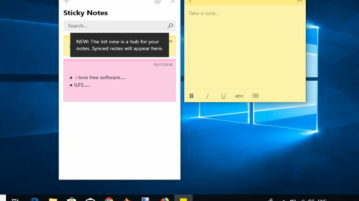 You can use new as well as old Sticky Notes together in Windows 10. This tutorial explains how to take full backup of Windows 10 Sticky Notes and restore them. You can also move Sticky Notes to another PC. 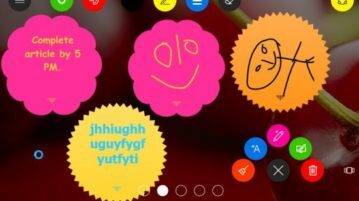 Sticky Notes Rainbow is a free Windows 10 sticky notes app with colorful stickers to remind you of your tasks and deadlines. 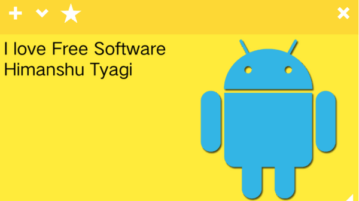 Evernote Sticky Notes is a free sticky notes software for Windows PC that sync with Android. 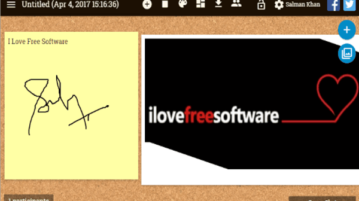 Access sticky notes on Android via Google Drive, Evernote, etc. 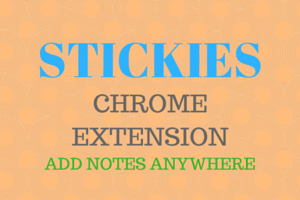 Stickies is a Chrome extension that allows you to add sticky notes to any websites. You can access your notes online whenever you want. Post-it Plus app for iPhone is a free app which lets you scan Post-it Notes up to 50 notes. After scanning, you can rearrange them and share it with others.